Two things you need to understand as I tell this story. The first is that my wife has a rather large collection of my work. The second is that when I can I like to design my pieces with key numbers programmed into the image. Years ago my wife and I bought our first home which has the house number 318. For the next anniversary present I designed this pendant which has those digits as part of the design. There are 18 affixed flower petals and three tendrils. I was torn by the 18 because if you start the “She loves me…” chant with an even number you wind up with an unenviable outcome. So I started the recitation with a petal which has already been plucked and now floats away from the body of the flower. 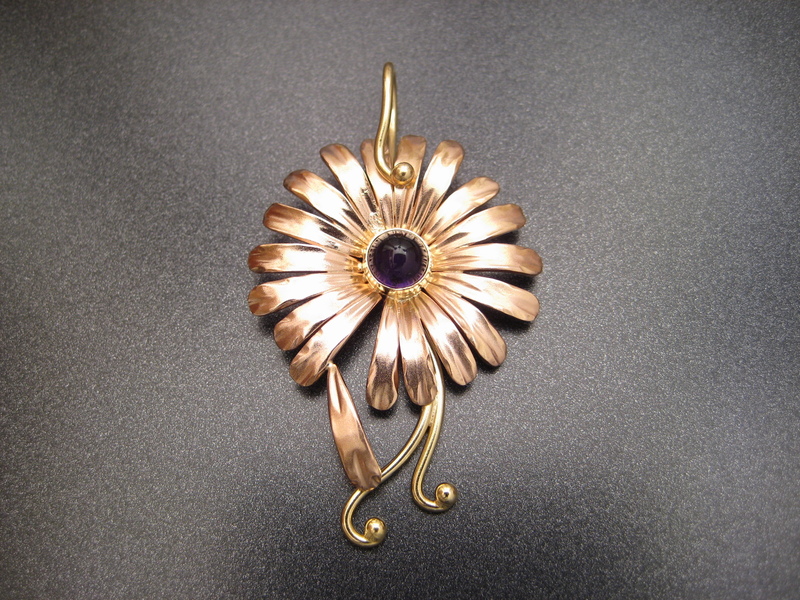 The center stone is an amethyst cabochon which, as you may have noticed, doesn’t photograph well. 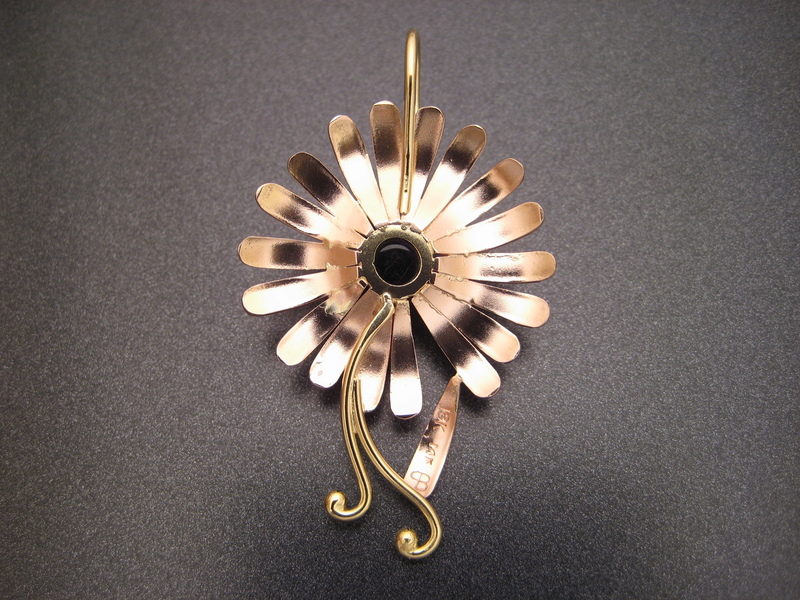 The petals are fabricated from 14k pink gold and the tendrils and stone setting are made from 18k yellow gold.